The Nib is a daily comics publications that is part of First Look Media. They publish political cartoons, journalism, essays and memoir about what is going down in the world, all in comics form. The Nib delivers engaging and provocative social commentary in the form of political cartoons, comics journalism, and non-fiction writing from a diverse team of contributors. 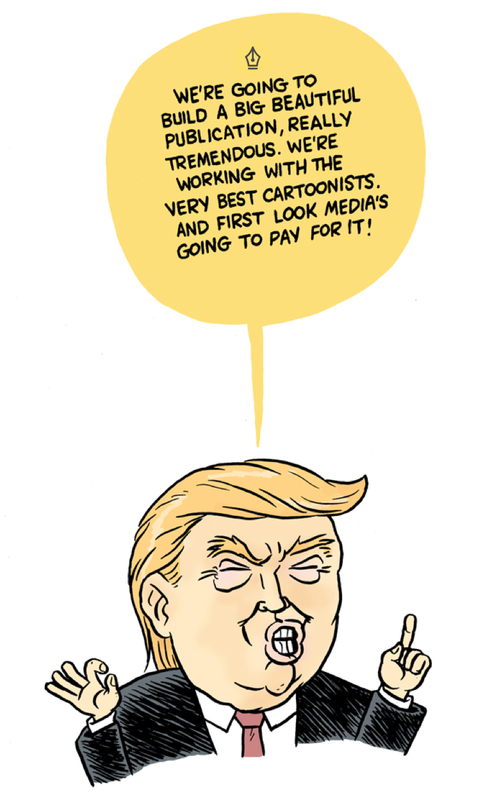 The Nib is covering the presidential elections in the United States, with new drawn pieces every day with reportages and comics by Dan Archer, Tom Tomorrow, Andy Warner, Anna Sellheim, Eleri Harris and many more.